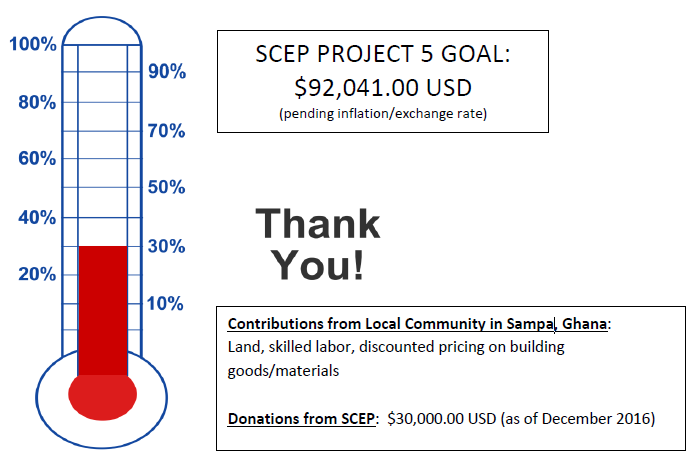 Due to lack of financial resources the Sampa community is seeking assistance to build a school. The majority of the population in Sampa is subsistent farmers. Few individuals are into civil and public services. Very few farmers keep poultry and livestock. Some farmers produce cashew as a cash crop and other produce food crops such as plantain, cassava, cocoyam, yam and vegetables for consumption and sell the surplus. However, farming in this area has many problems such as, low prices, post-harvest losses and erratic rainfall pattern which present challenges with consistent income. The diocese has a high illiteracy rate due to poor educational facilities. Since the creation of the diocese this trend is changing as the diocese places a premium on education. 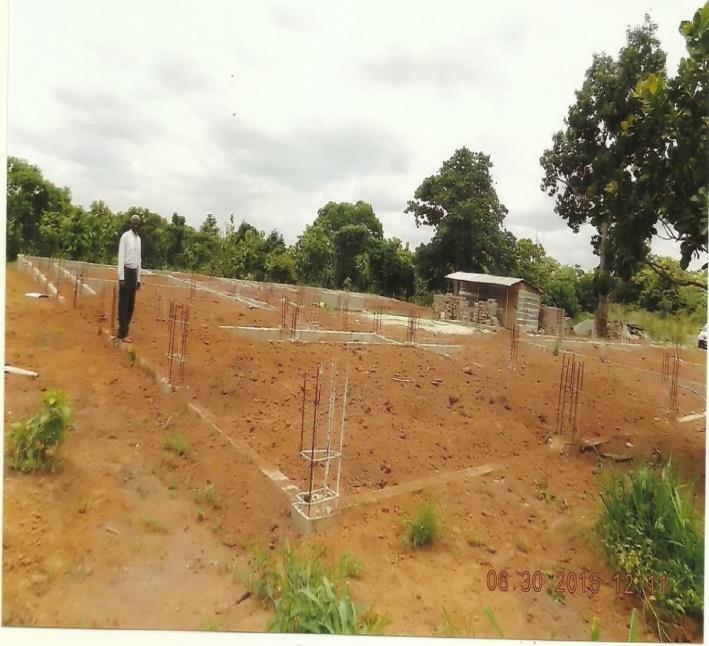 The area currently has 10 primary schools and 6 junior high schools scattered in the villages. There is still a great need for more schools to cater to the growing population. 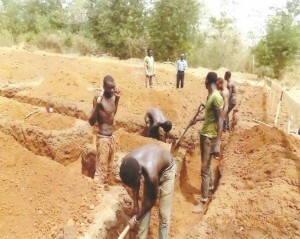 volunteered their time to help dig the foundation. A small stipend and food was provided for each day they worked on the project. 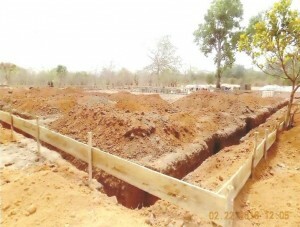 Cement foundation blocks were made onsite and ready for the builders to lay the foundation. Mr. Jude Sammor-Duah, Project Manager for SCEP (in blue shirt/dark pants) and Mr. Daniel Okrah, Parish Catechist and Board Member of the Building Committee and the Catechist of Our Lady of Fatima Catholic Church in Sampa (in colorful shirt and pants). 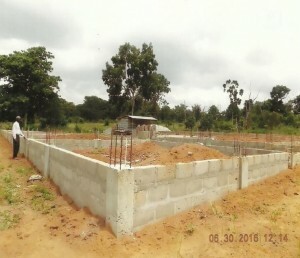 The foundation was filled with dirt before building the actual walls with iron rods in place for pillars to reinforce the building structure. The shed in the background stores the iron rods during the progress. 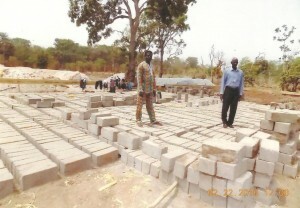 Then the cement blocks were set in place to build the wall structure/foundation. We need your help! 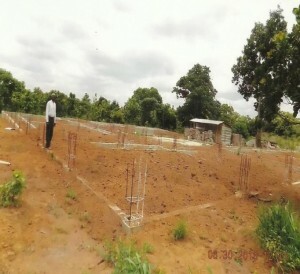 Your support is critical to the completion of this school. Every donation (small or large) counts.